Raise your hand in the air if your stomach hurts from all the candy you have consumed over Halloween weekend...OK, you can out them down, it's a little hard to type with one hand. I'm glad that it's done because I can grow my bangs out again. I love the way Liz wears her bangs and so inspired, I tried bangs for the 13th time but on me, they never quite look like that and I'm always brushing them out of my face. I'm still in need of a little sleep after my halloween fiasco. Your costume was great! I love the mime costume. And of course, the usual: how did you do you hair? With the plait? I didn't even dress up this year - lame, I know. I do that with snacks and candy too! No self control! LOVE your mime costume! I love the mime costume! Such a great idea! I didn't go out this year, but I was def going to wear something already in my closet as well if I did go out. love the mime! oh and i ate three reses peanut butter cups before dinner last night. don't feel bad. It strikes me you could have gone wayyy out there with a Lady GaGa get-up. She really wears daring outfits. :) I like the mime though - cute! I feel bad though - I didn't eat any candy this year! I guess this week is the best time to stock up for cheap though, right? 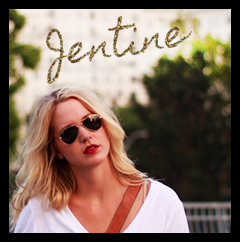 PS HUGE GIVEAWAY on my BLOG! Win ASOS, MAYBELLINE and DESIGNER THREADS! THREE CHANCES TO WIN!!!! hehe, my hubby was a mime too, he didn't talk! it was nice, lol. Okay, like anyone with eyes, I think Gaga is f-ing BRILLIANT. Ergo, your costume is also brilliant. I also can't keep bangs. You're awesome. I love your mime costume! It is so creative and stylish! 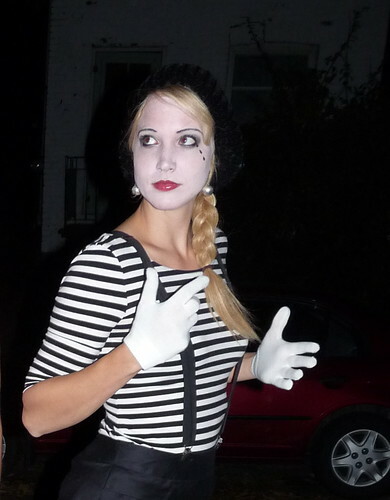 The mime costume is fabulous and so much potential for fun at a bar with lots of inebriated people...right? And the Lady Gaga is beyond words! Love it! S.
Ooo I love both of you costumes! Awesome make-up on both! Yeah, I don't think I would've gone Gaga pantless at a bar, but at a few house parties I'm already known as the one with the weird outfits so no one batted a lash (faux or real) ;) Glad you had such an awesome night minus the candy ache! But if you sell the call with a strike price that is higher than the price you paid for it you would stand to profit from exiting the position anyways. You buy on the speculation that it will increase in value by the time it is built. The Perth Mint, established in 1899, is one of the largest gold refiners in the world, where they fabricate bars and coins that are .999 pure.